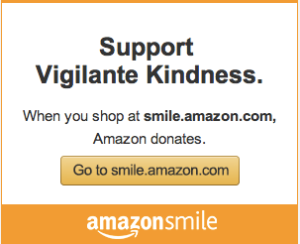 Vigilante Kindness – We’re a rag-tag group of people vigilantly pursuing self-sustaining educational & employment opportunities with and for students and their families living in rural communities in developing countries. We believe in asking hard questions like, “What do you need and how can we help?” We believe that communities know their needs better than we do and that it’s our job to listen. We’re big on being kind for the sake of kindness and we believe that even the smallest acts of kindness can make a big difference. We believe in keeping vigil over one another and watching for opportunities to help, no matter how far off the beaten path those opportunities take us. We’re vigilant in our belief that God has given each person unique gifts and that one of the highest forms of worship is using those gifts to serve others. We believe God has a purpose for each life and Vigilante Kindness is our purpose. Join us as we live out wild adventures in service of God and others. Join us in committing acts of Vigilante Kindness.